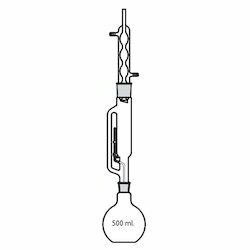 Manufacturer of a wide range of products which include 2340-condensers, 1000-beakers, 3360-distilling apparatus, 3361-distilling apparatus, 3741-extraction apparatus and 3840-extraction apparatus. 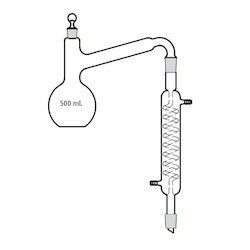 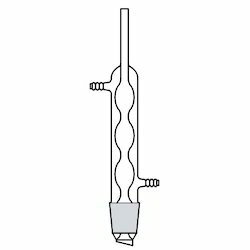 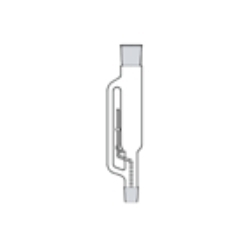 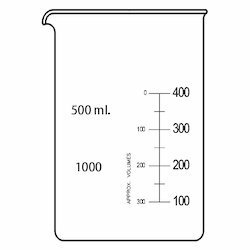 Extractors-Soxhlet, Interchangeable Joint With a bulb in a siphon tube near the top to aid in the siphoning action. 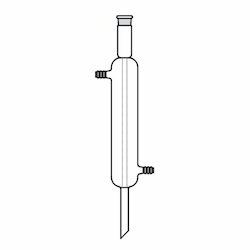 The siphon tube is protected from accidental damage by the vapour tube. 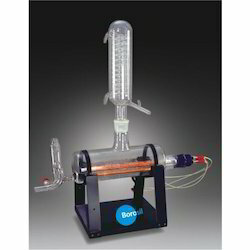 Looking for Laboratory Glass Apparatus ?